“I know nothing” is President Obama’s basic response to Benghazi debacle, the IRS scandal and the AP phone record seizers. Can you imagine any past U.S. president admitting to knowing so little about his administration’s activities. Obama is an empty suit and his handlers don’t consult with him about anything but golf dates and Michelle’s vacations. Have you heard that Obama is dyslexic? He spent a year studying for the BRA exam. The theory that Obama is so smart that running the government is boring him, is a stupid and ignorant excuse for Odumbo. Obama couldn’t think his way out of a wet paper bag. He is so dumb that the only qualifications for him to be a senator was to be black and dumb; to be a president, he only had to be black. If Obama is so smart why does he need a teleprompter for speeches whereas many conservative spokes-people don’t? Why doesn’t he publicly debate the likes of Alan West, Paul Ryan or Ron Paul on national television? If Obama is so smart, why are his political ideas from the 19th century? If Obama is so smart, why won’t he show us his college transcripts? Obama isn’t smart. Obama is so dumb, blondes tell jokes about him! The only thing Obama isn’t dumb about is taking the money promised him if he’d run for president. Rockefeller’s underground government promised to take him out of the ghetto and make him a king. Obama took Rockefeller at his word. Obama and Michelle now live in the White House using their ghetto mentality to rip off U.S. citizens for all those perky golf outings and vacations. The fact that Odumbo plays golf so much isn’t a mystery. The people really running the government what him out of their way. They don’t want to explain stuff to him. They don’t want him at morning briefings. They only want him to give speeches for fundraisers and to make excuses to the American people. How do you get Obama to change his mind? You blow in his ear! Ask him to explain, in detail, his signature legislation, Obamacare. He can’t. He’s so dumb he’ll never understand that Obamacare ruined the best health care system in the world. If you want more proof listen to his speeches. He never says anything specific. He always talks in generalities. (Read: Historic Ignorance – Lord of Organized Platitudes) He can’t speak in facts, he’s too dumb to know them! 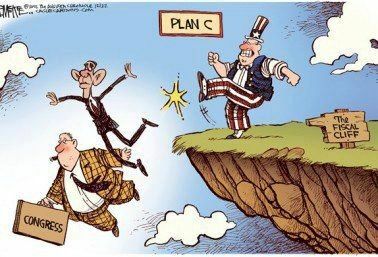 The shadowy government types use dumb guys like Obama get what they want. They want a socialized United States of America. They want to make everyone tax-paying slaves to support their excessive life styles. They pay dummies like Obama crumbs and solidify their families inheritances for centuries to come. What does this all mean? Don’t expect Obama to say anything relevant about anything. He’s not in the decision making circles. None of the real policy and decision makers want him around. His demeanor is irreverent. His opinions are irrelevant. Don’t believe what your reading. CLICK HERE. Listen to Obama himself! Watch Odumbo in action! Obamacare and the latest immigration bill are a roundabout way to tax more people thereby increasing tax revenues. Incumbent Democrats and Republicans won’t acknowledge this fact. They know it’s the far-left’s way to maintain the U.S. Dollar and continue increasing government spending. The U.S. dollar is shrinking in value. Furthermore, U.S. dollar is fiat money. Fiat money system relies on the government’s ability to tax it’s people. Today’s out-of-touch politicians are moving to maintain the dollar’s value the only way they know how, through more tax revenue. To take in more tax revenue the government will raise existing tax rates, tax more things and add more people to the tax rolls. There in is the blending of Obamacare and immigration. Those wanting to participate in Obamacare are required to file a tax return. Immigrants, new or existing, legal or illegal, will come out of shadow economy for health care. They’re required by law to essentially register with the IRS in order to get free health care or pay reduced health insurance premiums. Most poor and low income Obama supporters think they’re getting free health care. The cost of this free health care is filing a tax return with the IRS. Many of these people (like drug dealers, pimps, slum lords, etc.) have never filed a tax return. These people are required to come out of the shadow economy by Obamacare. They’ll have to pay health care premiums, too! In order to get free or reduced health care premiums, people are required to expose their economic situation to the government in the form of a tax return. Once they begin filing tax returns, the government will be able to track their existence. In reality, Obamacare is a sinister tracking tool for the IRS. The lure of healthcare will cause an influx of illegal immigrations to the U.S. and add to the tax-payer rolls. The current immigration bill coupled with Obama’s recent ‘come to America’ speech encourages immigration from all over the world. One only has to remember that the United States dollar is based on a fiat currency system. This fiat currency system was founded on the ability of the government to tax its people. Under the disguise of health care and immigration, the U.S. government will tract more people to tax. If you don’t want to pay more taxes and shower freeloaders with government handouts, start voting. Citizens have to cause electoral chaos in order to slow down this new round of tax hikes and invasion of illegals. Vote out every incumbent every election. If you don’t, Obamacare and immigration will dig deep into your paycheck. And they will ultimately significantly lower the life styles of future generations. Visit the VOTB store and express your anti-tax support!